Walter brings more than thirty-five years of experience providing representation, advice and counsel to businesses and individuals in their dealings with Indian tribes and public land management agencies, like the U.S. Bureau of Land Management, the U.S. Forest Service and New Mexico State Land Office. Walter’s practice is focused on natural resources, energy and environmental law. Clients throughout the west and across the country seek Walter’s advice in matters involving transactions, disputes and consultations with Indian tribes and other Native American groups. In addition, clients look to Walter when pursuing federal lands leasing, development, and related permitting and environmental compliance efforts under the National Environmental Policy Act (“NEPA”), Section 106 of the National Historic Preservation Act, the Endangered Species Act, and related federal statutes. Walter also is actively involved in community and professional non-profit organizations. 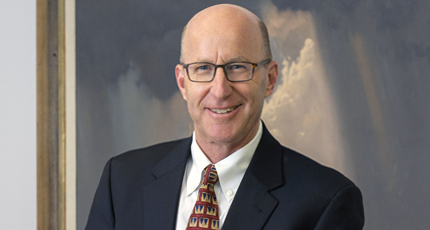 He has served as President of the Rocky Mountain Mineral Law Foundation, a world-class continuing education provider for professionals working in the areas of natural resources development and environmental law. Walter is also actively involved as a Trustee with the Albuquerque Community Foundation, and serves as the Chair of that Foundation’s Impact Investment Committee. In addition, Walter is a past Chair of the Board of Trustees of the Albuquerque Academy, an independent day school. 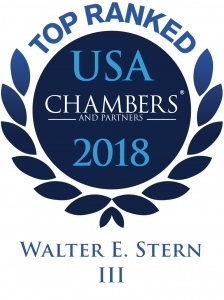 Nationally recognized in Native American Law by Chambers USA, Walter has also received top recognition in the area of Environment, Natural Resources & Regulated Industries in Chambers’ New Mexico review. 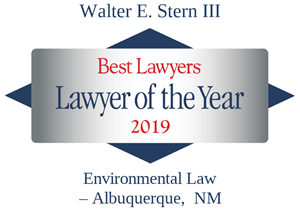 As reported in Chambers, Walter’s clients describe him as “outstanding,” and peers view him as a “great litigator.” He has been listed by Best Lawyers in America® since 1995 and named Lawyer of the Year in Albuquerque six times: Environmental Law, in 2019 and 2016; Energy Law, 2018 and 2014; Oil and Gas Law, 2012; and Native American Law, 2011. Walter has achieved the AV® rating from Martindale-Hubbell, has been recognized as one of the Top 25 Super Lawyers in New Mexico by Southwest Super Lawyers®, and as Best of the Bar in Native American Law by the New Mexico Business Weekly. He is a Past President (2013 – 2018) of the firm. Walter enjoys hiking, skiing, and mountain bike riding that does not involve crashing on boulders. Led a multi-disciplinary counsel team in completing a series of interrelated transactions between BHP Billiton New Mexico Coal, Inc. (BBNMC) and its subsidiaries and the Navajo Nation and Navajo Transitional Energy Company, LLC (NTEC), a wholly owned enterprise of the Navajo Nation. The successful closing followed execution of confidentiality agreements and a non‐binding term sheet or memorandum of understanding, lengthy due diligence efforts, detailed discussion of risk allocation and creative deal structuring, the crafting of several agreements and related documents, and the navigation of Navajo Nation legislative and executive approval processes to ensure the enforceability of the transactions with sovereign entities. The multi-faceted transaction included, among other elements, the sale of BHP Navajo Coal Company (BNCC), the owner and operator of the Navajo Mine, a large surface coal mining operation located on the Navajo Reservation in New Mexico, to NTEC. Successfully represented San Juan Coal Company in obtaining injunctive relief authorizing the coal company to mine through oil and gas wells in a matter involving a coal vs. oil and gas development conflict arising from a split estate under the Coal Lands Act of 1910. See San Juan Coal Company v. Redwolf Production, Inc. (2008). Subsequently, we defeated claims for compensation and damages for the oil and gas operator. Represented clients in permitting and environmental compliance efforts regarding developments on Indian lands, including National Environmental Policy Act, Section 106 of the National Historic Preservation Act, the Native American Graves Protection and Repatriation Act, the Endangered Species Act, and related regulatory schemes. Represented the Sandia Peak Tram Company, a special use permit holder on national forest lands, in litigation and alternative dispute resolution proceedings that resulted in an amicable Indian land claim settlement requiring ratification by federal legislation, the T’uf Shur Bien Preservation Trust Act legislation (2003). Representation included participation in a lengthy mediation process, lobbying, and testimony before Senate Committees on Indian Affairs and on Energy and Natural Resources. Submitted a “Friend of the Court” or amicus curiae brief with the U.S. Supreme Court in a case which involved the scope of tribal jurisdiction over non-Indian fee lands within Reservation boundaries. The Supreme Court ruled that the Navajo Nation lacked jurisdiction to impose certain tribal taxes under the circumstances of the case. See Atkinson Trading Co. v. Shirley, 532 U.S. 645 (2001). Defended a substantial private landowner in a case involving a tribal land claim, and in related cases involving tribal jurisdictional claims over off-reservation lands and activities in northwestern New Mexico. See Navajo Tribe v. State of New Mexico, 809 F.2d 1455 (10th Cir. 1987). Successfully argued that New Mexico state court, and not federal court, was the appropriate forum for a general stream adjudication involving Indian reserved water rights claims. See United States/Pueblos of Laguna and Acoma v. Bluewater Toltec Irrigation District, et al ., 806 F.2d 986 (10th Cir. 1986). In an alleged conflict between the Pueblo of Santo Domingo grant and the Mesita de Juana Lopez grant located between Santa Fe and Albuquerque, New Mexico, successfully argued for the defense that the Pueblo’s claims were barred under the 1924 and 1933 Pueblo Lands Acts. See United States/Pueblo of Santo Domingo v. Leland Thompson, et al., 941 F.2d 1041 (10th Cir. 1991). In the general stream adjudication on the San Juan River in northwestern New Mexico, addressed claims by the New Mexico State Land Office that sought to apply the federal reserved water rights doctrine to lands granted to the State of New Mexico through the New Mexico Enabling Act and related legislation. See State of New Mexico ex rel. State Engineer and United States, et al. v. New Mexico Commissioner of Public Lands, 2009-NMCA-004 (2008). Successfully represented San Juan Coal Company (“SJCC”) in attempts by the Navajo Nation and the U.S. Bureau of Land Management (“BLM”) to place federal lands subject to SJCC’s coal leases in trust as part of the Navajo Reservation. Specifically, the case involved the validity of BLM’s decision to implement Navajo Nation land selections of federal public lands for transfer into trust under provisions of the federal Navajo-Hopi Settlement Act. Obtained an immediate stay of BLM’s decision from the Interior Board of Land Appeals (“IBLA”). After efforts to find an amicable resolution acceptable to a wide range of stakeholders, obtained a favorable ruling from the IBLA that the Navajo Nation’s and BLM’s actions were unauthorized. See San Juan Coal Company, 155 IBLA 389 (2001). Representing numerous clients in permitting projects triggering compliance with the National Environmental Policy Act, National Historical Preservation Act, Endangered Species Act, and related statutory and regulatory services. Experience negotiating and drafting long-term coal supply contracts, and related agreements; additionally, negotiated resolution of disputes concerning surface reclamation and royalty valuation of mining activities on Indian lands. Pueblo of Jemez v. United States: Tenth Circuit Resurrects Land Claim – Unique Circumstance or Cloudy Title on the Horizon? Natural Resources, Energy and Environmental Law (NREEL) Section of the State Bar of New Mexico Natural Resources Lawyer of the Year, 2014. This was the inaugural presentation of the award, given to a single attorney each year.